Earn up to 4,350 reward points. Field support system for synthesizer. Titan has its own range of rugged field frames and elegant concert frames. 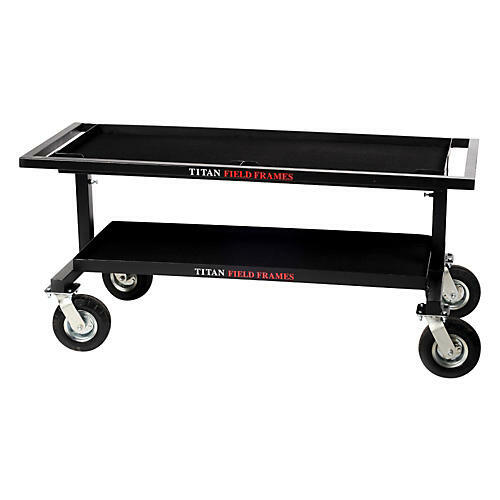 All of Titan's frames are made to order and are manufactured in the USA. The synthesizer frame supports most common sizes and mounts them at a perfect height. It has four rugged, reliable wheels for graceful entry onto and exit from the field. Marching USA field frames are strong and rugged, and are designed specifically for a touring competitive corps who are transporting, rehearsing and competing on a daily basis. Order today and incorporate modern keyboards into your field presentations.